The GARR Network is the only italian national network dedicated to the education, research and culture community (D.lgs n.218 del 25/11/2016 Art. 10 comma 5). National or international organizations for research, education, training and culture located in Italy may request the connection to the GARR Network. associations or consortia between organizations referred to in the previous points. other companies that carry out research activities in Italy, engaged in collaborations with the community related to GARR, for the duration of the collaboration only. Upon receipt of a connection request and subsequent authorization by the GARR bodies, a technical-economic feasibility study is launched to identify the best technological solution at the most advantageous cost. To regulate access to the GARR network it is necessary to sign an agreement between the applicant organization and the GARR Consortium. 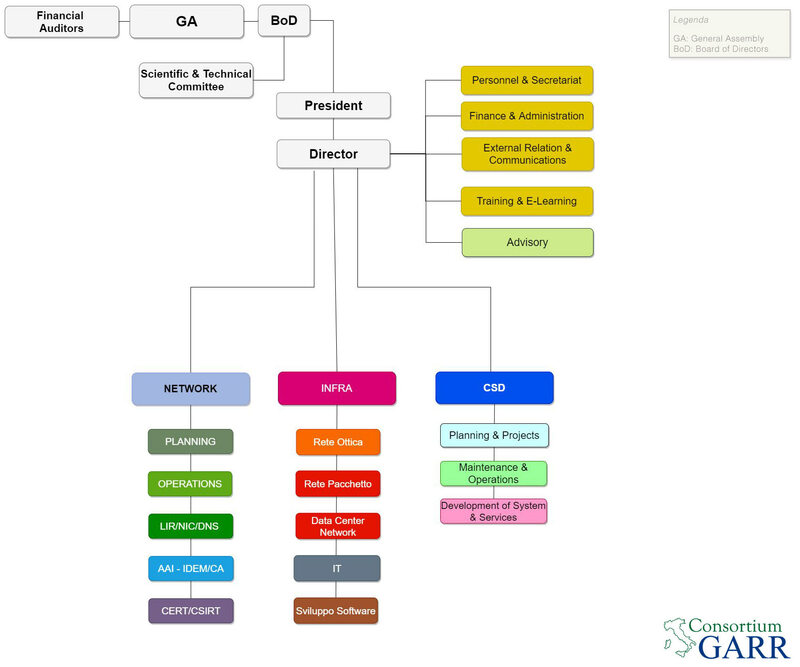 From an economic point of view, access to the GARR network is regulated according to the configuration identified to meet the specific needs of the applicant organization. Organizations wishing to use the GARR network are required to pay for the connectivity service (proportional to the required access bandwidth capacity) which also includes a series of services. The cost related to the creation and management of the organization's internal network remains the responsibility of the user.